For those of you who want to record their music creations with ease, the company BOSS offers a new portable digital recorder that promises pro-quality multitracking in a device only slightly larger than an iPod. 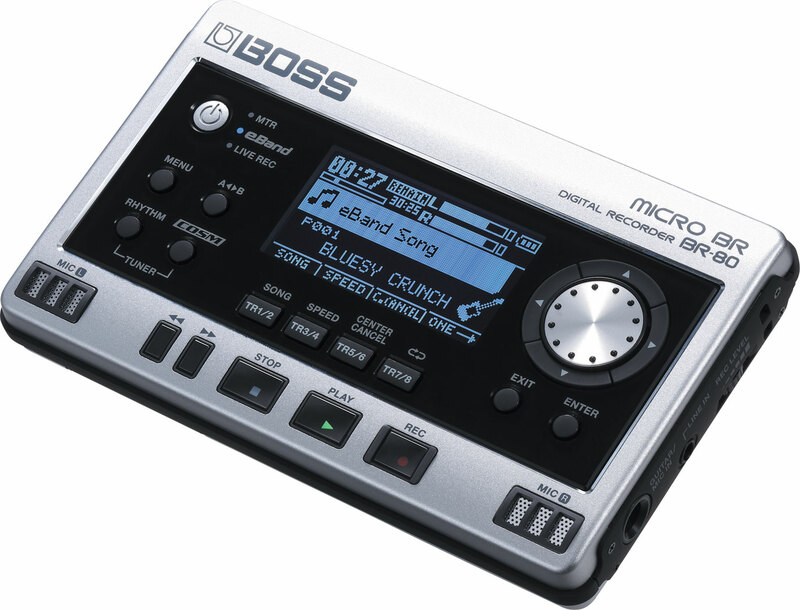 The pocket sized micro-recorder, dubbed Micro BR BR-80 offers an extensive set of features for music practice and jamming. 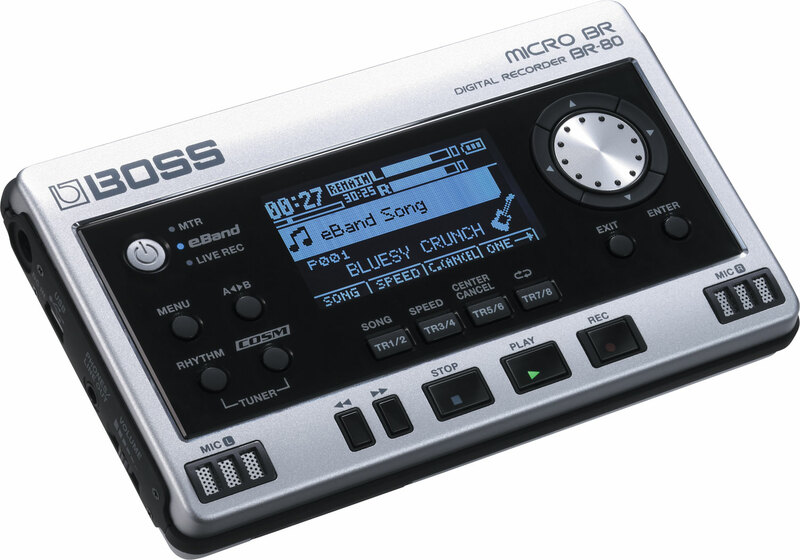 The device is powered by two AA batteries for up to 550 hours of recording time and offers three modes to create, record, and perform your music – an eight-track MTR (Multi-Track Recorder) mode, an eBand mode for onstage backing tracks and phrase training, and a Live Rec mode for instantly capturing high-quality stereo recordings, as well as you can combine these three modes seamlessly. 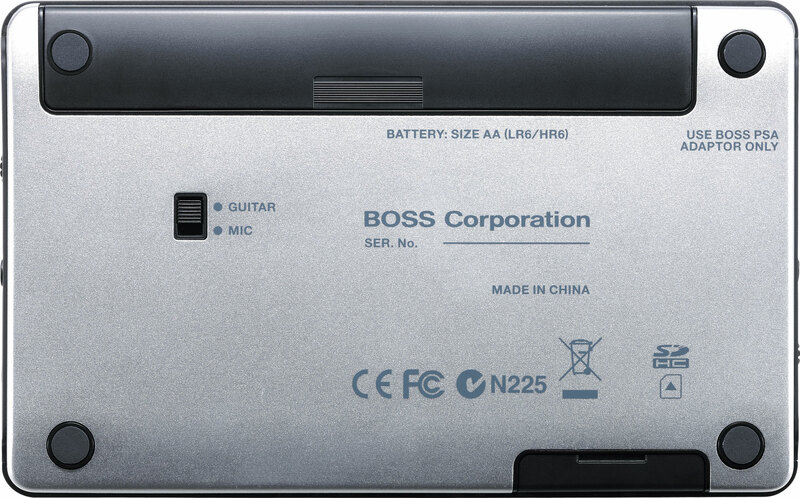 It is equipped with stereo condenser mics, SD card slot, dicated inputs for connecting a guitar, a microphone, or any stereo line-level device and a USB port, allowing the BR-80 to be used as an audio interface with effects for computer-based recording, and also to import and export WAV and MP3 audio tracks. 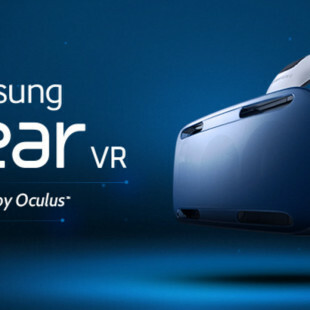 There’s also a Center Cancel function that allows users to minimize the sound of guitar solos and vocals in pre-recorded tracks. 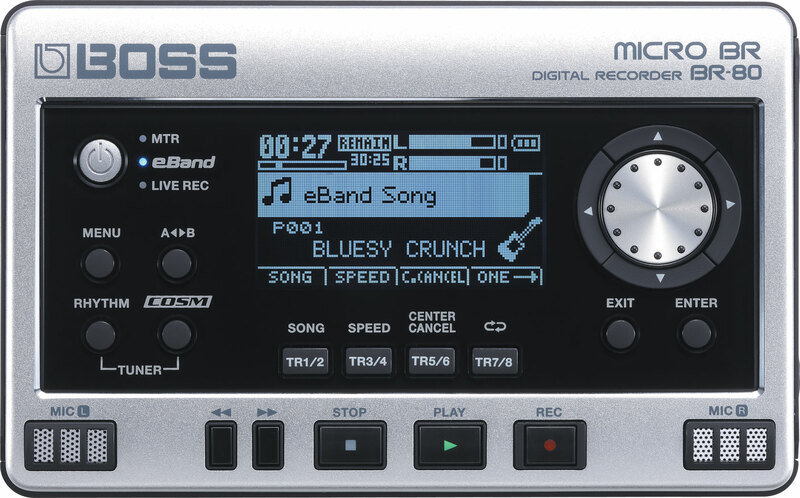 The BR-80 is available now with a suggested retail price of $299.